Yes, it has been a long time since the last one, but the fantastic Antipodean SF have published my story Carbon Leap. And I’m more than a bit chuffed that the header page picture links to my story! Exciting eh?!? This story got rejected a few times, and the feedback I kept getting was that it felt like it should be longer. But when I wrote it, it came out at around 500 words and it felt like I had said everything I wanted to say. So I’m glad it got to stay flash and it got out into the world. So I hope you like Carbon Leap, and I hope it makes you stop and ponder the next time you get offered a quick fix. 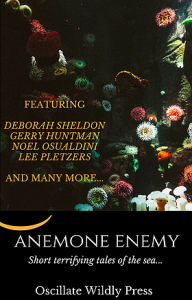 Last week my flash fiction story Ice Mine was published by Antipodean SF. It is but one of the many flash fiction stories that has tumbled out of me this year. Hopefully I’ll be able to find a few more homes for the other stories before the year is through. Antipodean SF was the first place to publish one of my stories many years ago, so I will be forever grateful to Antipodean for giving me my first taste of success. Ion Newcombe is the tireless editor of this magazine and he is not afraid to work with new authors. He wants to see you published! The magazine looks pretty schmick too, so if you haven’t seen it, please do check it out and lend your support to this fantastic little zine. And if you don’t feel like reading, there is a radio version of the show you can listen to as well. Any review of Duotrope of Ralan will show you that there are hundreds of markets for flash fiction. Due to how short the stories are it is also not uncommon for markets to publish these weekly or even daily in some cases, meaning they take on a lot of new manuscripts. A lot of the more prestigious print markets are also offering flash fiction on their websites, so the market for flash fiction just continues to grow. I think it is safe to say that you probably won’t be able to retire off what you make on selling flash fiction stories, and in truth even using the word ‘selling’ is a bit ambitious. Even in the upmarket magazines it is not uncommon for them to offer publication without payment. I know this lack of financial reward might turn some writers off, but I think in such a competitive world as we see in writing, particularly speculative fiction writing, anything that you can do to get your toe in the door with a publisher is a good thing. If a magazine has published one of your flash fiction stories you can be sure they will run an eye over your longer fiction if you send it in, it may even skip over the slush pile altogether. As you probably can tell, I’m a big fan of flash fiction. It is so quick and easy to read that you don’t need to make a big time commitment to check it out. Flash fiction also serves as an opportunity to hand out samples of your writing to get yourself on the radar of publishers and introduce yourself to readers who may go on to seek out your longer works. I’d recommend everyone give flash a go, if nothing else the editing skills you learn from cutting down your opus to under 1,000 words are invaluable. I have no doubt that what I have learned from writing flash has helped improve both my short stories and my novels. Give it a try, it will only take a flash! Given how few words you have, when you are writing flash, you tend to go with the familiar. Whether that is a contemporary setting, or a science fiction or fantasy world so full of tropes the reader is clear on where they are as soon as the story opens. If you are writing fantasy there will be some swords, possibly dragons and magic in the first couple of paragraphs. Equally, science fiction flash will refer to the space ship, planet or alternate reality upon which your characters find themselves; ‘Gee it’s cold here on planet X’ sort of thing. The other thing you might do is use familiar tags on your characters; the geek has glasses, the action heroine looks like Lara Croft, the bad guy has dark hair and a patch on his eye. I don’t advocate that sort of thing, but it can save you a lot of words when you are trying to build your story but keep it under 1,000 words. Flash also lets you use big aspects of the story scene, such as the speculative element, to actually be the punch-line. Because it is so short the reader can hold all of the story in their short term memory, so you could do your big reveal at the end and have the reader reflect back on the story with an a-ha, recognising all your carefully hidden foreshadowing when you finally reveal they are in space/ underwater/ on an island made out of marshmallows/ the story is being told from the perspective of a dog. I don’t tend to do that kind of reveal in my stories, but my story Random Impulses is probably the closest that I do get to doing this. This was actually my first ever flash fiction story, and it was my first published-by-someone-I-don’t-know story back in 2001. I always think it is funny when you read interviews with authors and they say that one of the most common questions they get asked is ‘where do you get all your ideas’ – as if they are a rare commodity. Ideas rain down on writers every day and one of the sad tasks for any writer is deciding which stories to run with, and which to let slip through your fingers. Flash fiction, for me, has been a fantastic vehicle to write out some of these ideas, which I know if pushed could turn into a novel, but when you have five novels, three kid’s books and countless short stories already waiting to be completed, you tend to avoid taking on something new. Flash fiction allows you to get the idea on paper in one sitting. This has the added benefit of meaning you have something you can send out in a very short time, which is particularly good if it is a topical story. Also many of the publishers of flash fiction are online, so from first draft to publication can easily happen in under a month. It may also still take three years (I’ve experienced both), so don’t look at it as a key to a quick publication. My flash fiction story Nose Plugs (link removed due to site issues), is something I wrote after watching a documentary on a multinational company which is slowly but surely taking over the world’s food production, with potentially devastating consequences. I won’t mention their name, because they are a particularly litigious company, but it was a story I was passionate to get out and flash fiction gave me the ability to do it quickly and get my point across without too much fluff. I’m sure eventually I will explore a lot of the topics that I’ve covered in flash fiction in much longer shorts or even novellas. But when that idea is burning inside of you, and you just want to get it out, flash fiction is a great way to test the waters. The definitions of flash fiction can depend on the magazine publishing it, but generally it is considered to be a story told in less than 1,000 words. Many will argue that flash must be under 500 words, and others under 300. I’ve seen some flash stories of 144 characters –thanks to Twitter, so you can see there isn’t really much consensus other than it is short. The fuzzy aspect about flash fiction is how much *story* do you need? It needs to make sense and be able to stand alone, but it doesn’t need to have strong character development, in-depth world building or three acts. It doesn’t mean it can’t have those things, but readers are not expecting them. That might make it sound like flash fiction is easy write, but in much the same way as poetry always looks easier than it actually is, flash requires you to hone your economy of phrase. You are not going to paint your word picture with a bunch of adjectives and flowery description. You have to use shortcuts without resorting to clichés and you need to edit, edit, edit until you have re-touched nearly every word on the screen to make sure it needs to be there. Finally, I think it is really important to have a satisfactory ending. A lot of flash does end with the big reveal or twist, but it doesn’t need to. What it does need to do is end. We don’t want to see the first chapter of a story which leaves us wondering what we just read, you must tie up your story at the end. Cass stuffed another handful of chips into her mouth, adding to the pulverised load that was already in there. “I’m on the in-out diet” Cass said between bites. Petra raised an eyebrow quizzically.